The campus’ IB Middle Years Programme is an academically challenging and balanced program that nurtures the students capacity to have a global understanding of their role in the world. 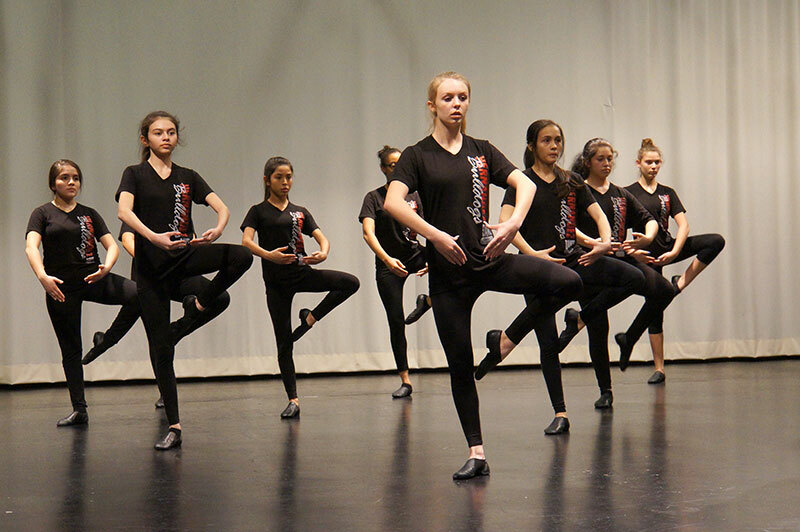 Students gain the skills to utilize their individual strengths for the acquisition of knowledge in a service in action environment. Our community of expert educators aim to develop inquiring, knowledgeable and caring individuals who help create a better and more peaceful world through intercultural understanding and respect. We will nurture and challenge all students, empower diverse thinking, facilitate the collaborative exchange of ideas, and encourage authentic engagement in the classroom, community, and global society. It is the vision of HeMS to work collaboratively with parents, teachers, and the community to guide students to be their own HERO by exhibiting Honesty, Excellence, Respect, and Ownership in every situation, every day. 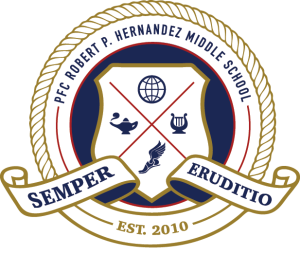 In August 2009, the Stony Point Ninth Grade center was re-named PFC Robert P. Hernandez Middle School. PFC Hernandez arrived in Vietnam on June 23, 1968 and was assigned to Alpha Company, 1st Battalion, 1st Marine Regiment, 1st Marine Division. He died on July 10, 1968 during the final days of The Battle of Khe Sanh. Hernandez was a 1967 graduate of Round Rock High School and was the only Round Rock resident to die in the Vietnam War.